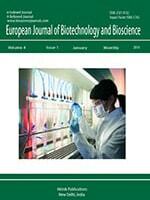 A peer-reviewed, heavily cited monthly journal, BioScience includes articles about research findings and techniques, advances in biology education, professionally-written feature articles about the latest frontiers in biology, discussions of professional issues, book reviews. Round tables, forums, and viewpoint articles offer the perspectives of opinion leaders and invite further commentary. Occasional special sections in Bioscience Journal provide an in-depth look at important topics. Recent special sections have addressed protected areas, animal migration, endocrine disruptors in the environment, remote sensing in ecology, and agricultural bio terrorism. Bioscience Journal will be valued by researchers, teachers, students, and government employees involved with any aspect of biology or management of natural resources, parks, and zoos. Journal is online for Open Access, easy accessibility to everyone, everywhere & at all time. 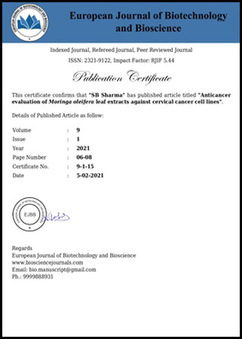 It has saved the costs of printing, publishing, mailing and hence the journals easily available to scientific community. This journal publishes research articles and reviews and short communication within the whole field Biological Sciences with the objective to explore the information on the latest trends and developments in the bioscience fields.